The Congress on Saturday said it will raise the PNB scam in Parliament "vociferously" and speak to various opposition parties to put pressure on the government to set up a Joint Parliamentary Committee to probe the matter. "The Congress, in the interest of the people of the country, will speak to all like- minded parties in Parliament. 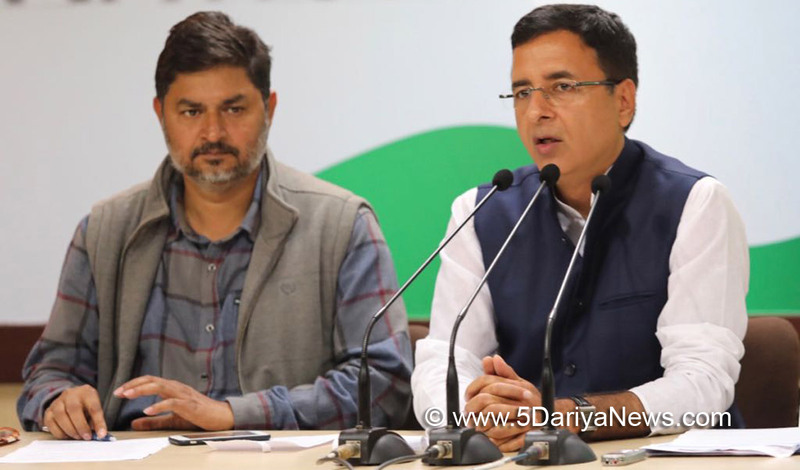 We will show them documentary evidences of the scam and will form a joint strategy," Congress spokesperson Randeep Singh Surjewala told the media here.He said Ghulam Nabi Azad and Mallikarjuna Kharge, Leaders of Opposition in the Rajya Sabha and Lok Sabha respectively, have been assigned the task by the party's Steering Committee to speak to all other parties and arrive at a strategy in Parliament. "Whether to demand a JPC or anything else will be decided by the opposition parties," Surjewala said. "We will raise this issue vociferously and prominently till the Modi government answers to Parliament and the country's people," Surjewala added.Surjewala's remarks came in the wake of the Punjab National Bank scam that came to light on February 14.